Dunstable Cemetery is an important public amenity used by a wide cross section of our local community. The Cemetery caters for a wide variety of faiths, beliefs and cultures and this diversity gives rise to a wide range of needs and issues relating to burial, memorialisation and mourning. 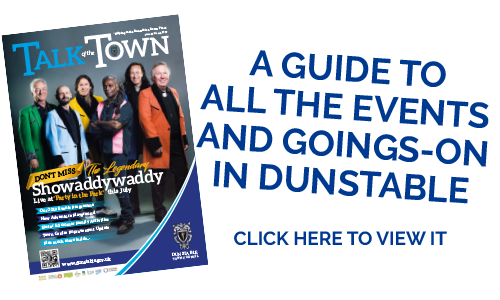 Dunstable Town Council is committed to ensuring that the needs of users and the local community are understood and met, however, on occasion there is a need for tolerance and understanding especially when these needs conflict. Mourning, grieving, paying respects and remembering the dead means different things to different people and it is important that visitors to the cemetery are able to do this in their own way, whilst respecting the needs of others including the neighbouring community. Dunstable Town Council has set out what it considers to be unacceptable behaviour for those using Dunstable Cemetery and what action you can take should you feel that such behaviour is occurring. – Drinking of alcohol and misuse of any substances. – Fighting, aggressive or confrontational behaviour. – The playing of loud music, at levels which cause disturbance to others. – Vandalism of property, theft or littering. – Joyriding or speeding of motor cars, motorcyles, go-carts and quad bikes or similar. – Forcing entry into cemetery when gates and bollards are locked. During the hours of 8.00 am to 4.00 pm, Monday to Friday, Dunstable Town Council manages the operations at Dunstable Cemetery. During this time there is usually a member of staff on site that will be able to deal with any issues or queries you have, and/or recommend what action you could take. If for any reason you are unable to locate a member of staff on site during these times you can also call 01582 513000 for further advice and information. The Council has no specific legal powers to deal with noise nuisance caused by visitors to the cemetery. However, the making of unreasonable noise, together with other behaviour, could be deemed to be anti-social behaviour. The Council works in partnership with the Police and other authorities, including the Town Council, to tackle anti-social behaviour problems; although we do not have staff able to respond to incidents when they are happening. To be successful any legal action would have to show that the behaviour was exceptional, ongoing and affected the community as a whole, not just one or two individuals. Therefore it is important that incidents are reported to the Police and recorded so the extent and the pattern of the problem is apparent for agencies to then act upon where necessary. The police will attend incidents in the cemetery which are in progress such as disorder or fights between individuals or groups of people or acts of criminal damage. Although each incident will be treated individually, the police will generally not attend incidents which involve the playing of music or the making of other noise, children misbehaving, alcohol being consumed or people acting in a way which others may consider to be inappropriate behaviour in a cemetery.